So I’ve always been told I was great at planning activities and trips. Sometimes I packed in a bit too much and had everyone exhausted by the time the trip was over. At least we weren’t sitting around wondering what to do when we went on vacation, so said my husband. A great skill, but how could I use that in my everyday life? 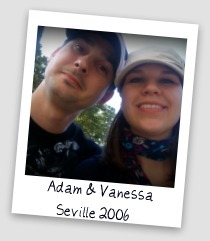 Well see, my husband Adam- he loves Spain and more specifically, Andalucía. He did a study abroad during his college years, stayed quite a while and has since visited a few times. I always thought it was a *magical* place too. 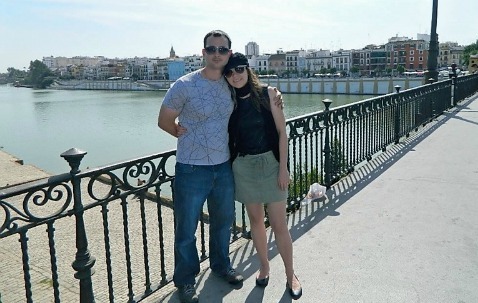 After much thought, silly dreaming and many ideas…..we meshed together our love of traveling, Spain and trip planning into one combined effort: Southern-Spain-travel.com. The rest is…shall I say it….Spain history…. We love every moment of working with this site and our visitor friends who have great photos and experiences to share. Spain has been Adams passion since his study abroad to Seville as a college student. He's traveled across the region, read, researched, studied, and lived there. Our hope is with this site you'll fall in love with Southern Spain, too. We hope that it brings you an easy, and most importantly, fun way to visit Southern Spain based on what you like to do. There’s so much in this region for you to experience, it all just depends on your interests! And no matter what age you are, fun should always be in the plans. Enjoy our website and have a super fantastic time in Spain! We’ll see you there!